Another one from PTK (which propered -gravewish some hours ago on another EP oO). 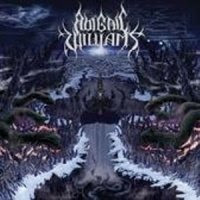 After the split-up and the reunion last year, here's the new EP from Abigail Williams, without Zach Gibson, but therefore with Trym (Ex-Emperor) on the drums. The track 'Flood' that was on their myspace is also included in here.